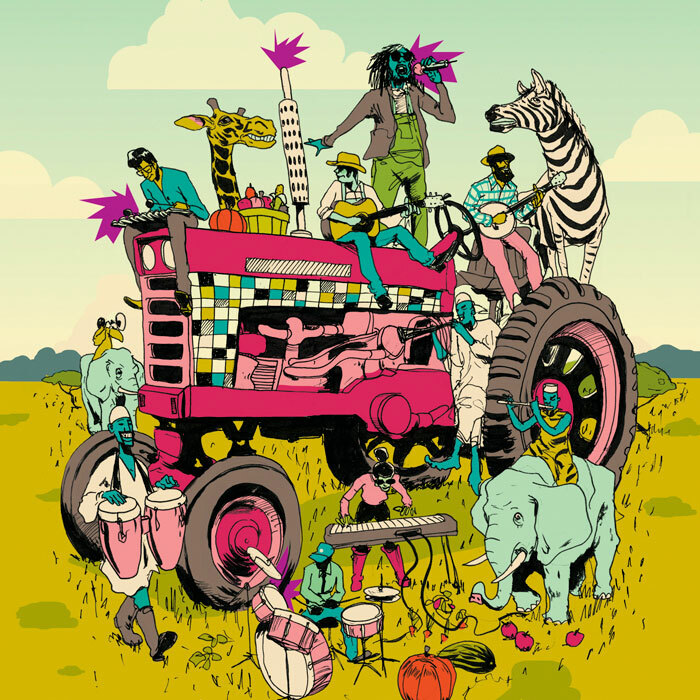 Levy Creative Management artist MICHAEL BYERS creates a really terrific piece for Farm Clef. This is a CD cover that Mike illustrated for a friend of his. The music on the CD was made by local musicians in Guelph, Canada and all proceeds are going to Farm Clef. Farm Clef is a charity that raises money to help small farmers in Africa get their start so that they can grow their own food and fend for themselves and have a better life. Always good to do beautiful pieces for a good cause. Amazing job Mike and way to pay it forward!